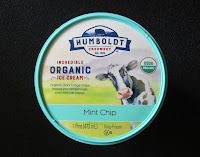 Today's Organic Mint Chip Ice Cream was from Humboldt Creamery* (Modesto, CA). 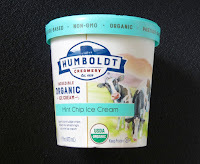 The base, mint ice cream tasted fresh and creamy and the mint flavoring was refreshing without being too strong (thank you). 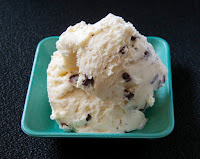 The dark chocolate "fudge" pieces/chips were not overly hard or waxy (as they can sometimes taste in other frozen desserts). They had the mouthfeel and flavor of authentic dark chocolate. *Humboldt Creamery was formed in the 1920s as a 152-farm dairy marketing co-op in northern California. 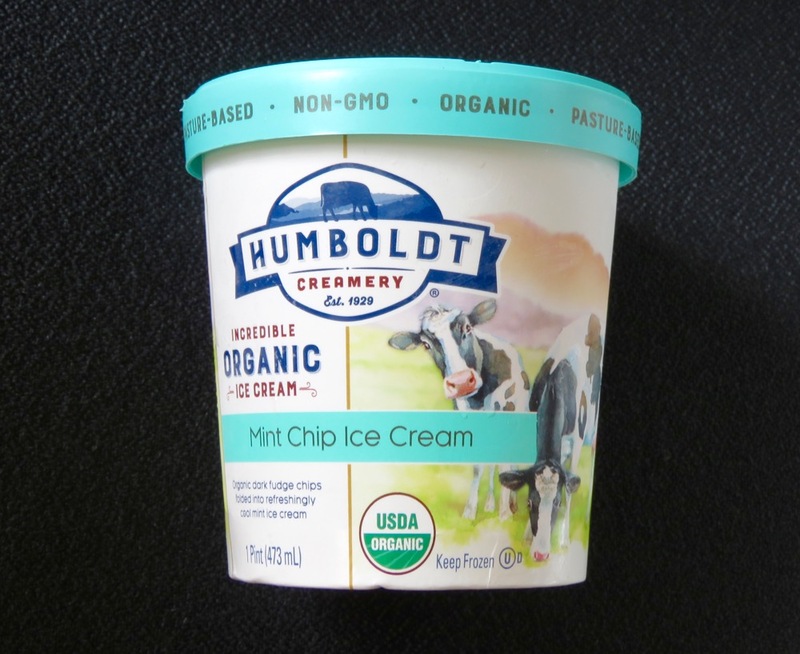 It is now owned by Foster Farms Dairy (Modesto, CA).